TUESDAY NIGHT: Coating of snow overnight. Low: 9 and warming. WEDNESDAY: Lingering AM flurries. More midday sun. High: 20. Winds: NW 5. 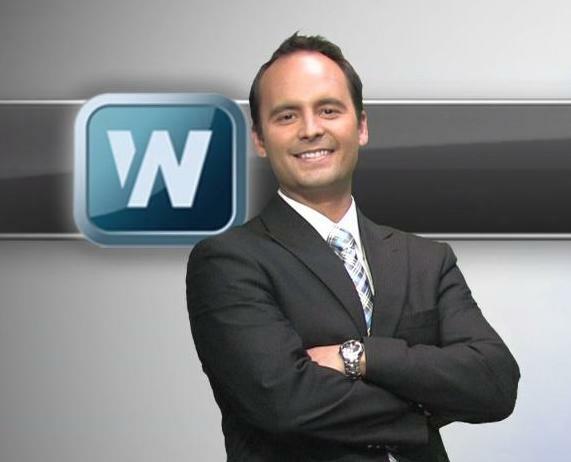 WEDNESDAY NIGHT: Another clipper arrives with a light snow chance. Low: 15. THURSDAY: A little light snow with a few peeks of sun. High: 26. FRIDAY: Clearing and a bit cooler. Wake-up: 5. High: 14. SATURDAY: Light snow chance. Wake-up: 0. High: 22. SUNDAY: Partly sunny and warmer. Wake-up: 13. High: 33. MONDAY: Light rain/snow mix possible. Wake-up: 24. High: 34. TUESDAY: I can finally feel my fingers!. Wake-up: 18. High: 35. 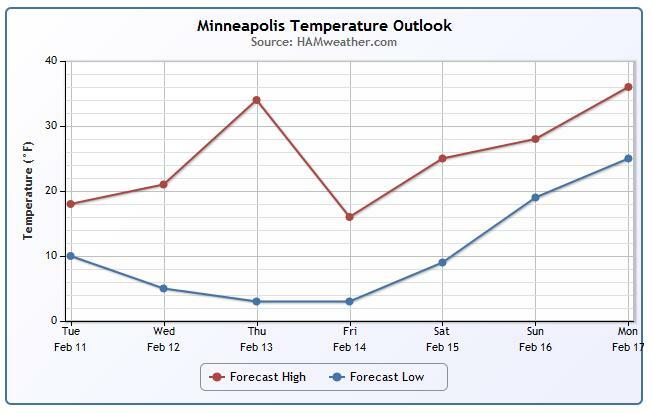 Well, it sure is nice to see some warmer temperature in the forecast. It will still be a little chilly this week, but next week there is a chance that we may actually have an extended period with temperatures in the 20s and 30s! Take a look at the FutureRadar through AM Thursday. 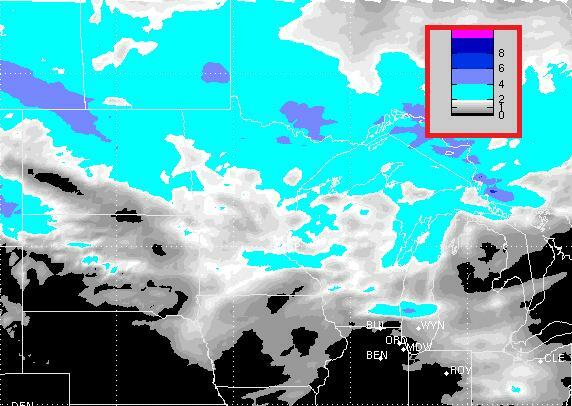 Through that time we'll have had 2 fast moving clipper systems moving through the Upper Midwest. Each one will be responsible for some light snow accumulations, but mainly across northern Minnesota. The snow potential through Thursday suggests a light coating of snow for areas in white, but the far northern reaches of the state could see a little more. 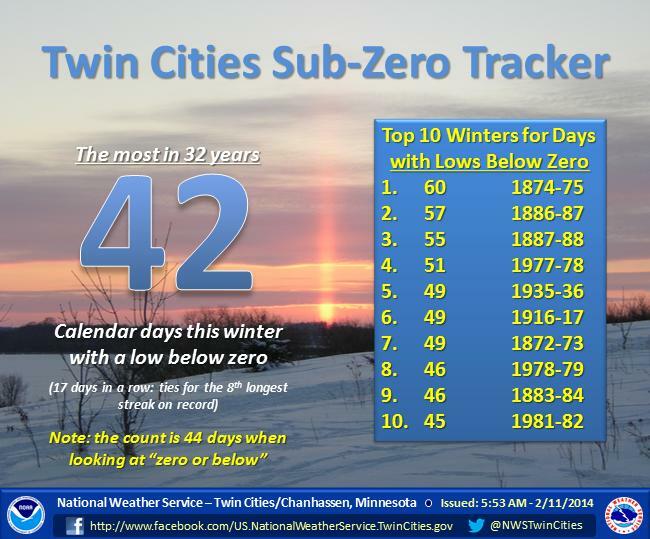 As of Tuesday, Minneapolis has seen 42 sub-zero nights, which is currently 3 shy of getting into the "Top 10 Winters for Days with Low Below Zero". The other important note is that there were 17 consecutive days in a row with sub-zero lows and this is tied for the 8th longest streak in recorded history. The national weather outlook shows a fairly robust storm system moving up from the Gulf Coast states into the Northeast through Thursday. This storm, unfortunately, will be responsible for a significant amount of ice and snow, which will have big impacts on travel and power outages that could last for several days. "A strong storm will develop along the Central Gulf Coast and move to the Southeast Coast by Thursday morning. The system will produce areas of freezing rain and sleet over parts of Eastern Texas and the Lower Mississippi Valley through Wednesday morning. In addition, another area of freezing rain/sleet will develop over parts of the Southeast through Thursday morning. Light to moderate rain will develop over the Lower Mississippi Valley and move eastward to parts of the Southeast while intensifying to moderate to heavy rain on Wednesday. Pockets of snow will develop over parts of the Southern Appalachians Tuesday night into Wednesday and blossom to heavy snow over parts of the Mid-Atlantic Wednesday night. The heavy snow will expand along the Mid-Atlantic coast into Southern New England by Thursday morning. Furthermore, showers and thunderstorms will develop along the Central Gulf Coast that will move eastward into Florida by Wednesday evening, then ending overnight." 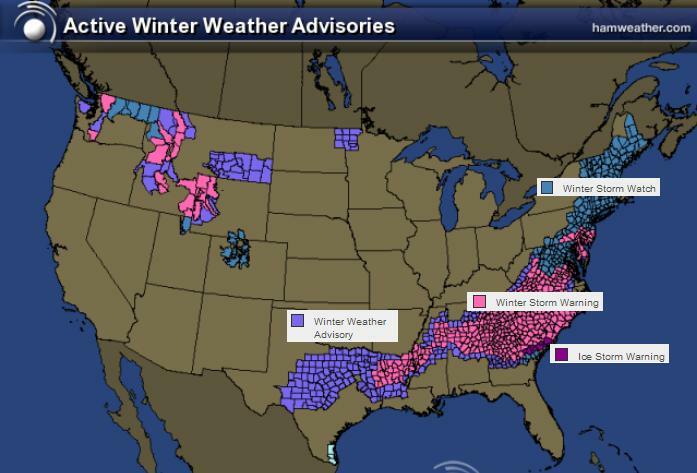 The National Weather Service has issued several winter weather headlines from Texas to the Northern New England States. Snowfall amounts in some areas could be as much as 6" to 12" while icing could be as much as 0.50" to 1.0"! * LOCATIONS...ALONG AND EITHER SIDE OF A LINE FROM FRANKLIN TO NEWNAN AND PEACHTREE CITY TO WARRENTON. * HAZARD TYPES...MAINLY FREEZING RAIN WITH SOME SNOW AND SLEET. * ACCUMULATIONS...SOUTHERN SECTIONS OF THE ICE STORM WARNING WILL BE ON THE EDGE OF WARNING CRITERIA WITH WARNER ROBINS AND MACON SEEING ANYWHERE FROM A TENTH TO A QUARTER INCH OF ICE. FURTHER NORTH HOWEVER...MORE CRIPPLING EFFECTS ARE LIKELY WITH A HALF TO POSSIBLY AS HIGH AS AN INCH OF ICE FROM THIS STORM. * TIMING...SNOW...SLEET AND FREEZING RAIN WILL BEGIN LATE TONIGHT...GENERALLY AFTER MIDNIGHT AND CONTINUE INTO WEDNESDAY. THIS WILL GRADUALLY CHANGEOVER TO ALL FREEZING RAIN WEDNESDAY INTO WEDNESDAY NIGHT. THE ACTIVITY SHOULD END AS LIGHT SNOW LATE WEDNESDAY NIGHT INTO THURSDAY MORNING. * IMPACTS...THESE HIGH ICE ACCUMULATION AMOUNTS WILL MAKE TRAVEL IMPOSSIBLE. THIS HAS THE POTENTIAL TO BE A CATASTROPHIC EVENT. 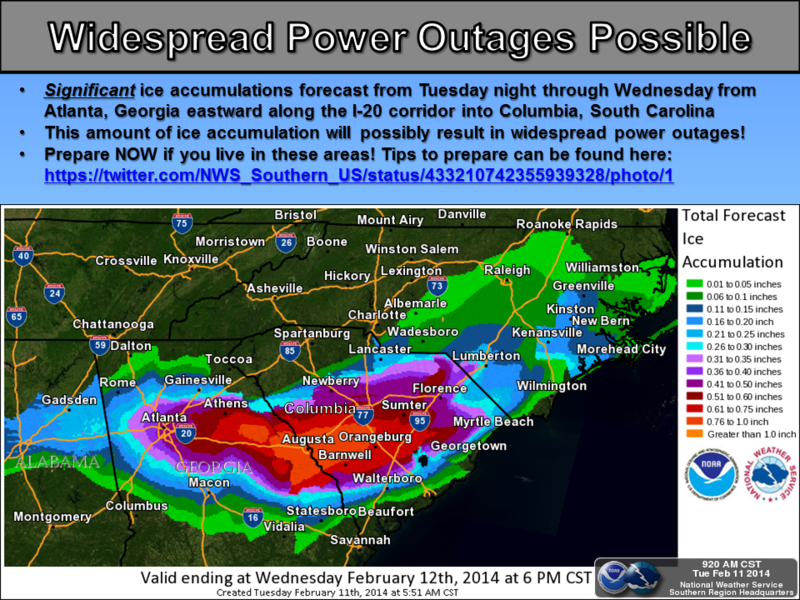 WIDESPREAD AND EXTENDED POWER OUTAGES ARE LIKELY AS ICE ACCUMULATES ON TREES AND POWERLINES AND BRINGS THEM DOWN. PLEASE PREPARE TO BE WITHOUT POWER IN SOME LOCATIONS FOR DAYS AND PERHAPS AS LONG AS A WEEK. ONCE THE ICE BEGINS TO MELT ON THURSDAY AND FRIDAY...FALLING ICE FROM BRIDGES AND OVERPASSES WILL CREATE AN ADDITIONAL HAZARD. 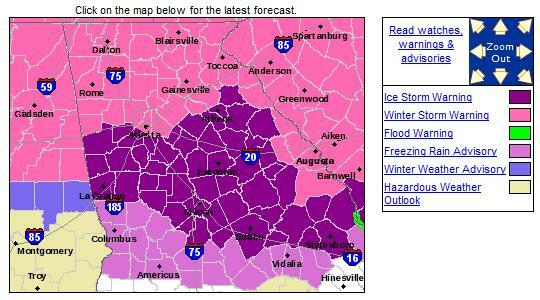 Here's another Graphicast from the NWS out of Peachtree City, GA, which shows the ice and snow potential across the area. 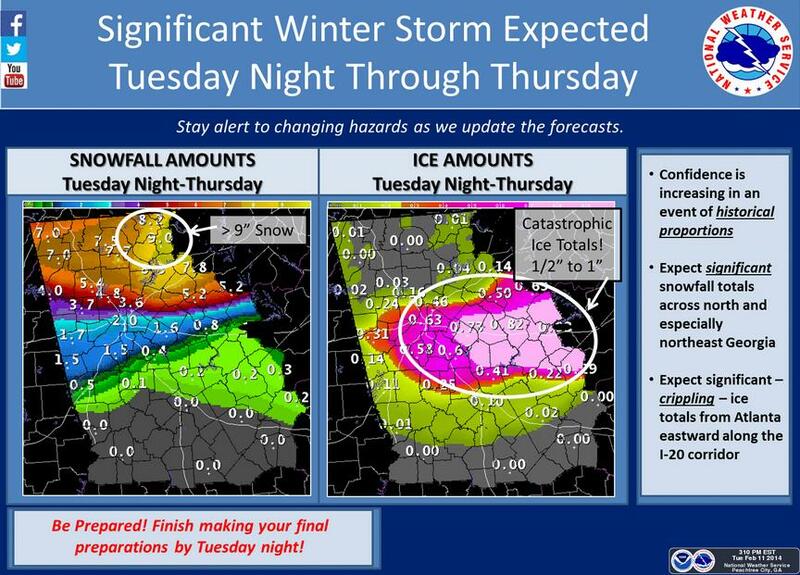 They are calling this potentially "Catastrophic Ice Totals". 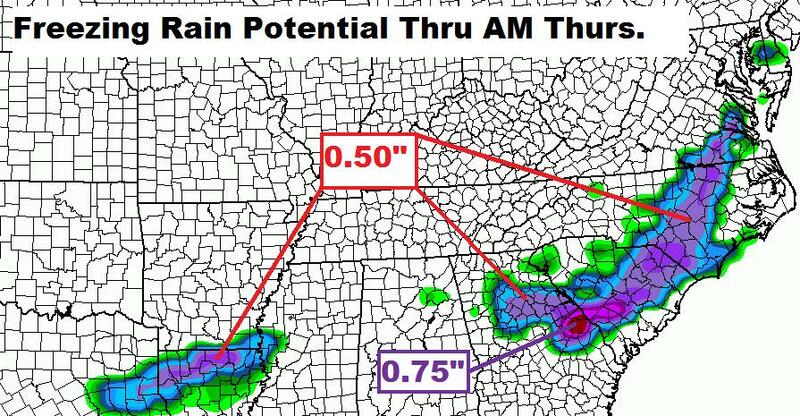 The icing potential won't be limited to just Georgia, take a look at how widespread it could be into AM Thursday. Keep in mind that just 0.50" of ice can add an extra 500lbs of weight to a span of power lines. With that said, think about how widespread power outages could be with the freezing rain potential shown here! The next phase of the storm will be the heavy snow potential acorss the Eastern Seaboard through Friday. Here's a look snow potential through Friday. 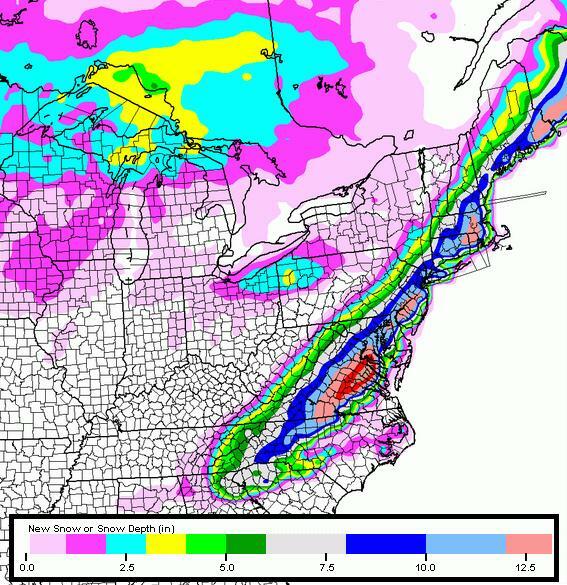 This particular model suggests nearly 6" to 12" amounts right along the coast. Thanks for checking in and have a great rest of your week!